North London giants Arsenal will start as the overwhelming favourites when they host English League One side Blackpool at the Emirates Stadium in their Carabao Cup fourth round clash on Wednesday night. 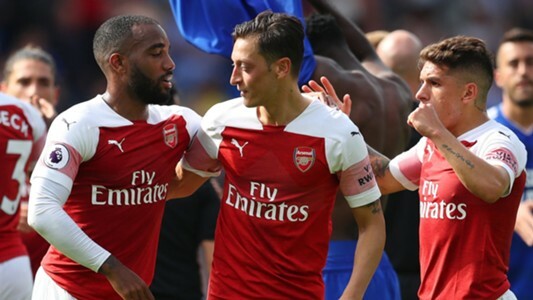 The Gunners will be hoping to bounce back to winning ways after the disappointing 2-2 draw with Crystal Palace in their London Derby meeting in the Premier League on Sunday. Arsenal conceded a late penalty after Granit Xhaka brought down Wilfried Zaha in the box and Crystal Palace midfielder Luka Milivojevic made no mistake from the spot as he earned the Eagles a 2-2 draw. The result halted the Gunners’ winning sequence of eleven games. The late Milivojevic penalty ensured that the Gunners are now four points adrift of league leaders Manchester City. Ahead of the Blackpool game, manager Unai Emery is expected to make wholesale changes to his starting XI. The duo of Rob Holding and Matteo Guendouzi could be the only survivors from the Palace game at the weekend. Possible Arsenal XI: Petr Cech; Carl Jenkinson, Rob Holding, Sokratis Papasthathopoulos, Stephan Lichtsteiner; Mohamed Elneny, Matteo Guendouzi; Henrikh Mkhitaryan, Emile Smith Rowe, Aaron Ramsey; Danny Welbeck. Possible Blackpool XI: Mark Howard; Michael Nottingham, Ben Heneghan, Curtis Tilt, Marc Bola; Jay Spearing, Callum Guy, Thompson; Liam Feeney, Nathan Delfouneso, Mark Cullen.